Vitiligo is a condition characterized by depigmentation of the skin. Depigmentation of the skin is mainly due to the melanin pigment dying or not functioning properly. Vitiligo’s cause is still unknown, but many believe that it is due to genetic factors, autoimmune factors, oxidative stress, or viral causes. There are two types of vitiligo. They are nonsegmental vitiligo and segmental vitiligo. Segmental vitiligo, also known as unilateral vitiligo, is less common when compared to nonsegmental vitiligo. The appearance of this type of vitiligo is marked by white patches on the skin, more commonly on just one segment of the body, such as on a leg or arm or on the face. Approximately half of the vitiligo patients with segmental vitiligo also lose some of their hair color, such as on their eyebrows, their eyelashes, or on their head. 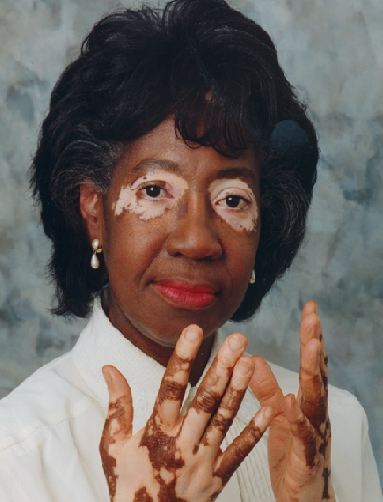 Nonsegmental vitiligo, or bilateral vitiligo, on the other hand, is more common and may appear on both sides of the patient’s body. That is, the white patches may be visible on both arms, or on both legs. 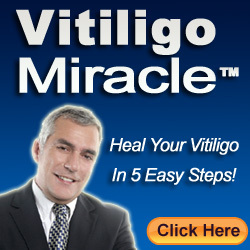 Vitiligo can start at any time after birth and its onset is usually noted before the age of 20. Vitiligo is a condition that is associated with many other autoimmune disorders such as diabetes and thyroid diseases. There will be no other symptoms for this condition other than the change of the color on the skin. This change in color will start with a lightening of the skin tone progressing to a complete loss of color over time. White patches will then present themselves, with well-defined edges and a generally symmetrical distribution. Additionally, white hairs may appear, which would eventually turn into grey-colored hairs. Initially, only one patch will be seen, but later, it will start to enlarge and spread slowly to the other parts of the body, sometimes affecting the entire body. These are only rare cases, however. Vitiligo should therefore be treated as early as possible to prevent this from happening. It is important to get a proper diagnosis from a doctor when the first symptoms appear just to ensure that it is indeed vitiligo and not some other skin infection. Once a doctor is consulted, the doctor will then examine the patient and will have to confirm the diagnosis with the help of a skin biopsy. Once the results are received, the doctor will prescribe a certain treatment according to the severity of the condition, the patient’s age, and the location of the white patches. There are mainly two types of treatment available for the treatment of vitiligo: medical therapies and surgical therapies. Surgical therapies are recommended for people who have had the condition for more than three years and to those who have tried medical therapies but unfortunately have not benefited from them. Apart from medical and surgical treatments, the diet can be adjusted as well to make it more favorable for the treatment of vitiligo. People suffering from this problem should know which foods to consume and which food products to avoid, and should religiously follow this diet.